Venezuelan opposition leader Juan Guaido told a rally of supporters on Tuesday that humanitarian aid would enter the country on February 23, which could cause a clash with President Nicolas Maduro who has refused to let aid supplies into the country. “February 23 will be the day for the humanitarian aid to enter Venezuela, so from today we will have to get organised,” said Guaido. The opposition leader said he was sending a "direct order" to the army to allow the aid in. However, since Maduro has support from the armed forces, it is unclear if they will disobey the president. Guaido was declared interim president three weeks ago after he called Maduro's re-election last year a sham. 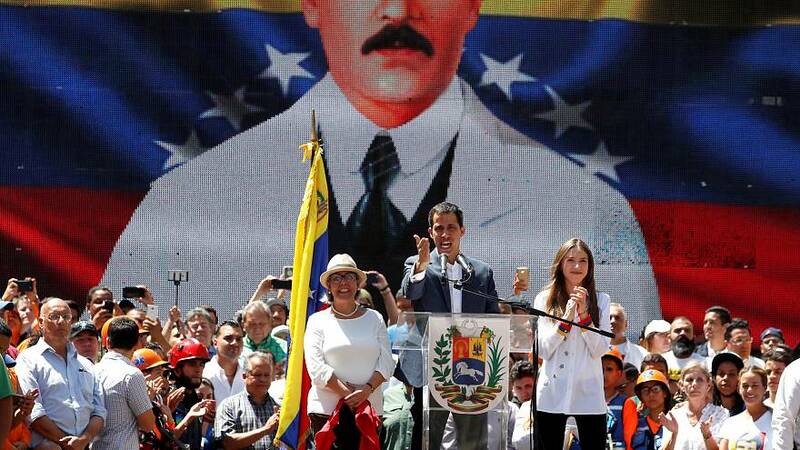 Many European countries and the US have recognised Guaido as the legitimate president, but Maduro is backed by Russia, China, and Venezuela's military. The country has seen medicine and food supplies in short supply. The US and Colombia sent an aid convoy to the Colombian border town of Cucuta last week, where it is being held in warehouses. Speaking to the BBC on Tuesday, Maduro said Venezuela was “not a country of famine” and did not need aid. On Monday, Guaido announced a small-scale delivery of humanitarian aid, including vitamin and nutritional supplements for children and pregnant women, to a network of health centres.